Travelling for short periods of time to new cities hassome disadvantages, even more if it is a large city and as heterogeneous as Barcelona, and several questions start popping up in our head: doIfocus on the historical part of the city or shall Ihave a look atother places of interest? Should I visitall the jewels of Gaudí or can I skip the visit of some of them? Should rental apartments in Barcelona for days or should I better book a hotel? How do I get around the city? Worry not, if you are planning a visit tothe Catalonian capital for 1, 2 or 3 days, keep on reading because below we are answering all those questions. Regarding accommodation, transport and cultural visits, the first thing you should decide is which activities suit you better money wise and do not take the whole day, so you would be able to do other things. Barcelona has a great and wide variety of places to stay. The easiestoption is to book a room in a hotel, but it’s also the most expensive. If you prefer something more personal, you’d be able to choose among a bunch of apartments for rent available for several days in the city. If you really want to see everything, a tourist card would beyour best option, especially if the card also includes the visit to monuments, museums or other kind of attraction. If not, a simple card of 10 travels that you can use in both the subway and the bus should be enough to travel throughout the city. It’s impossible to see a city as big as Barcelona in just one day; but we can leave with the feeling of having experienced most of what it has to offer if we reduce our visit to the essentials, that will allow us to talk about our stay as a complete visit. 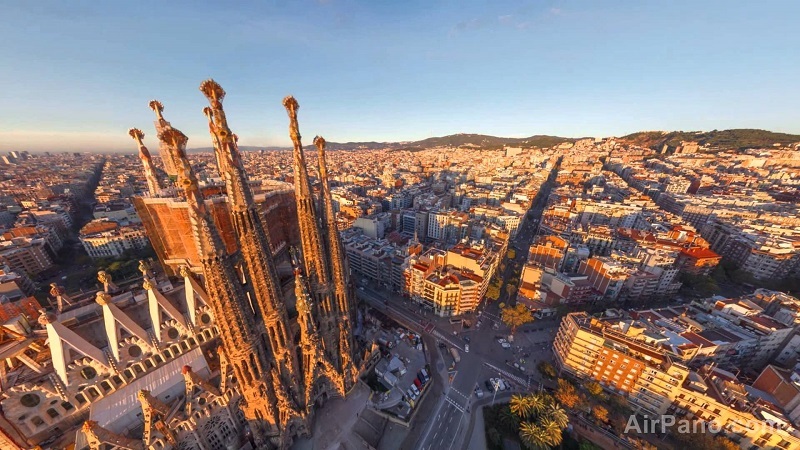 So, what are the must-see of Barcelona? With this route you’ll not only be able to telleveryone you’ve seen the great icons of Barcelona, but also you’ll be able to enjoy other gems in the wayto them, like the Gothic Quarter, the Modernist complex of Hospital de Sant Pau, the City Hall and the Palace of La Generalitat. The main problem here is that visiting Barcelona has very touristy spots far from the historic center, but visits as the one to Montjuïc or Park Guell offer a nice view of the entire city. However, there are still other spots to see that can be included in the proposed routes, so it is always nice to come back another time to enjoy places like the Tibidabo, the Gràcia district and its charming squares, the other Ramblas (from Poblenou, Raval, etc. ), the Camp Nou and other places that will surprise us with a new side of Barcelona on each visit.